Discover two of the world’s most intriguing and exciting cities. Moscow, the beating heart of Mother Russia, radiates Slavic might and majesty, while St Petersburg – with its great squares, opulent palaces, parks and canals – deserves its place on the roll call of greatest European cities. Don’t miss this great-value opportunity to see them both in one unforgettable week. Fly to Moscow and transfer to your hotel, your base for the next three nights. 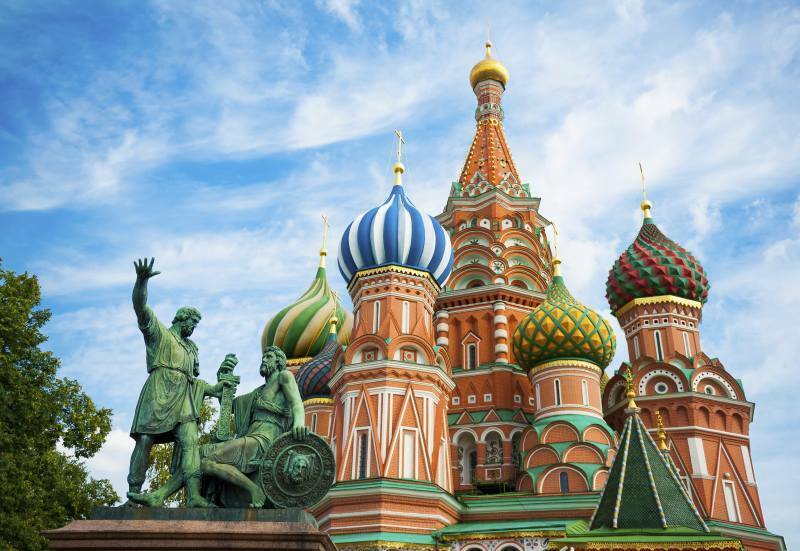 This morning our included, three-hour coach tour will introduce Moscow’s historic and geographic heart, where the Kremlin stands beside Red Square, onion-domed St Basil’s Cathedral, Lenin’s eerie Mausoleum and the GUM, the former State Department Store, now a thriving, glittering Muscovite shopping mall. This afternoon, an optional guided walking tour will reveal secrets of the Kremlin, like the Senate House, the Presidium, the State Kremlin Palace concert hall and the cathedrals of the Assumption, the Annunciation and the Archangel – the last containing the Tombs of the Tsars. Round off a wonderful day by enjoying dinner in the city. Enjoy a free day, or take an optional, full-day Highlights of Moscow tour, visiting Victory Park and its Museum of the Great Patriotic War, one of Moscow’s landmark Metro stations, and the Kremlin’s Armoury Palace, where the treasures of Russia’s medieval rulers are displayed. Enjoy free time for shopping before a final evening in Moscow. Check out of the hotel after breakfast and transfer to Leningrad Station. Bid “do svidanya” to your Moscow Tour Manager and board the train to St Petersburg, where you’ll meet your St Petersburg Tour Manager and transfer to your hotel for the next three nights. After breakfast, enjoy an introductory tour of St Petersburg, the ‘Venice of the North’, which was founded in 1703 by Peter the Great, and despite the subsequent ravages of war and revolution, siege and Soviet rule, remains as glorious as ever. See the towering Alexander Column and the Winter Palace on Palace Square, the Admiralty with its soaring spire, and great St Isaac’s Cathedral. Other highlights might include the Mariinsky Palace and adjacent theatre, home to the legendary Kirov ballet, and the cruiser Aurora, which fired the first (blank) shot in the Bolshevik Revolution. This afternoon, step inside the gilded portals of the famous Hermitage museum, to enjoy a guided tour of some of its phenomenal collection. Enjoy a free day, or take the optional excursion to the palace at Pushkin (entry fee included) and stunning gardens at Peterhof, each location remarkably and lovingly reconstructed since WWII, and reflecting the extraordinary grandeur of Imperial Court life. This evening, take in the optional folklore show of traditional Cossack dancing and folk songs at the historic Nikolaevskiy Palace. After checking out this morning, enjoy a last few hours in the city, or join the final optional excursion to the Peter and Paul Fortress and the Yusupov Palace, arguably the city’s finest Imperial residence, and site of the murder of the ‘mad monk’ Rasputin. This afternoon, the coach will take you to the airport to check in for your flight home.